This series of high temperature pressure sensors use a high-performance silicon piezoresistive pressure core as core element. The internal ASICs convert the mV signal into a standard current signal (4-20mA/0-20mA), voltage signal (0-5V/1-5V/0-10V) or RS485. 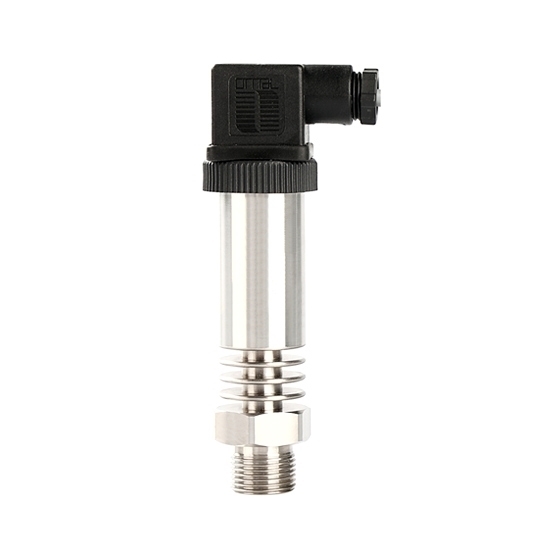 Pressure sensor with stainless steel sealing structure has cooling fins, high anti-vibration and anti-shock performance, measuring range -0.1~100MPa/ -1~1000bar/ -14~14503psi, medium temperature -40~+300℃ (-40~+572℉), for steam/fuel oil/high-temperature liquid pressure measurement. Pressure sensor for steam/fuel oil pressure measurement has optional output signal, such as 4-20mA/0-20mA/0-5V/1-5V/0-10V/RS485. Accuracy is an important performance index of pressure sensor, which is an important link on accuracy measurement of whole measuring system. 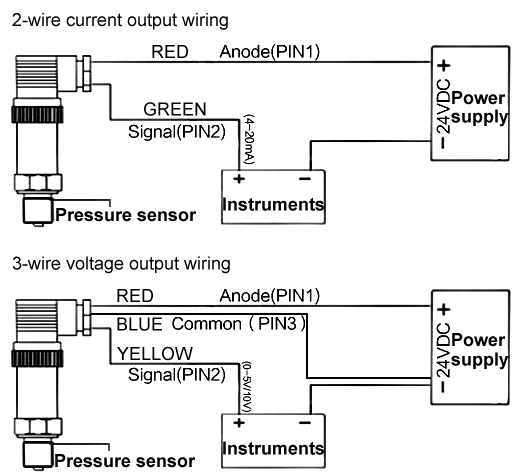 The higher the accuracy of pressure sensor, the more expensive it is. Therefore, as long as the accuracy of pressure sensor can be satisfied the accuracy requirements of the whole measurement system. That will be fine. This allows choosing cheaper and simpler sensors among many ones that serve for the same purpose. 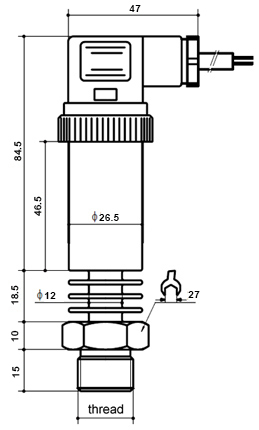 For some special use occasions, it is unable to choose a suitable sensor in the market. So it is necessary to design and manufacture the sensor by oneself. You can contact us ATO Automation and send us your requirements. We will try our best to produce sensors that can meet your requirements.